The Pershing 37 moored in the port of Marina Botafoch is the perfect motor boat for charter day discoverin Ibiza and Formentera beaches. 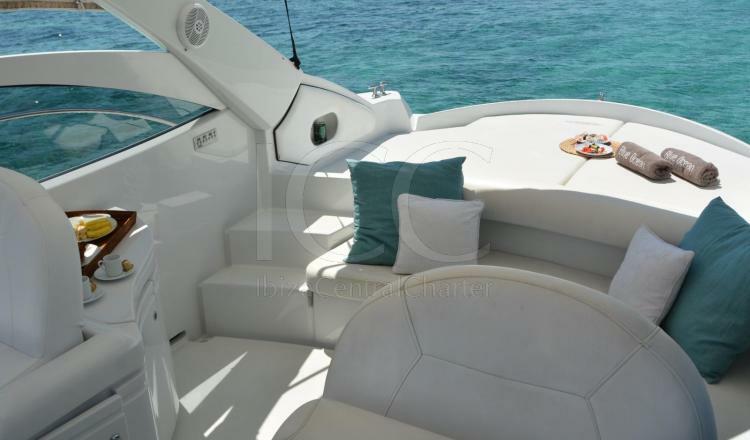 This fantastic boat has a length of 12 meters and offers a wide distribution, giving capacity for a group of up to 10 people. 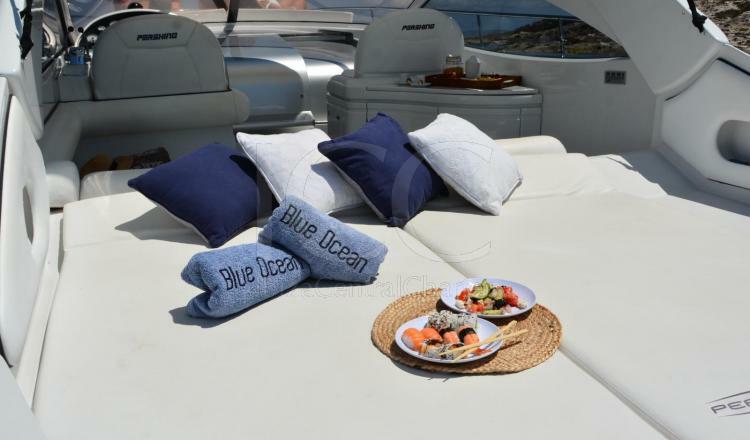 Equipped with tonas the necessary comforts to turn a day of charter in the islands of Ibiza and Formentera into an experience worthy of being repeated. Your bathtub has large areas in which to relax and enjoy the views. It has a large solarium both in bow and stern, so that none of the passengers is left without lying in the sun. 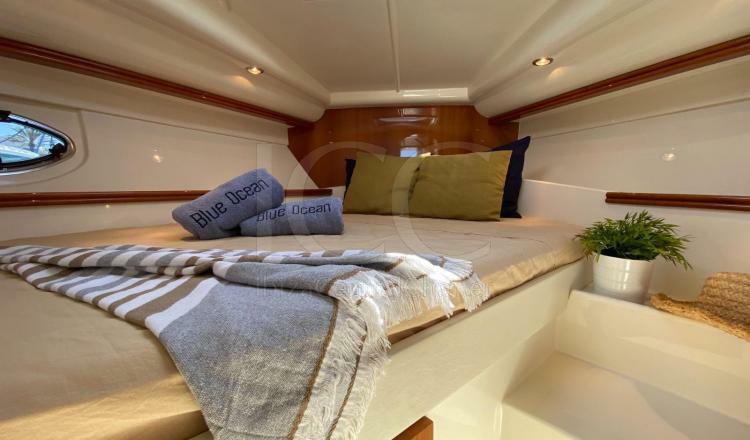 In the center of the bathtub, comfortable sofas complemented by a bar furniture with a fridge will allow you to enjoy a refreshing drink while enjoying the music that you like the most thanks to its sound system with speakers located along the boat. In addition to a large platform at sea level that facilitates a pleasant bath. 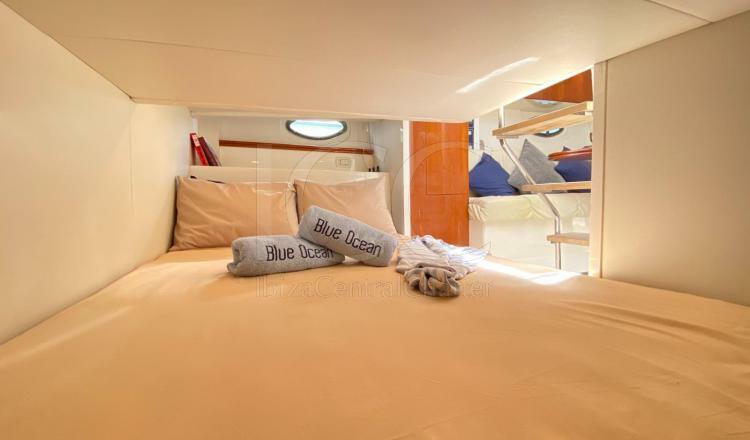 Inside there is a double cabin and an extra bed for those who want to recharge their batteries to continue the experience, as well as a fully equipped kitchen and bathroom. 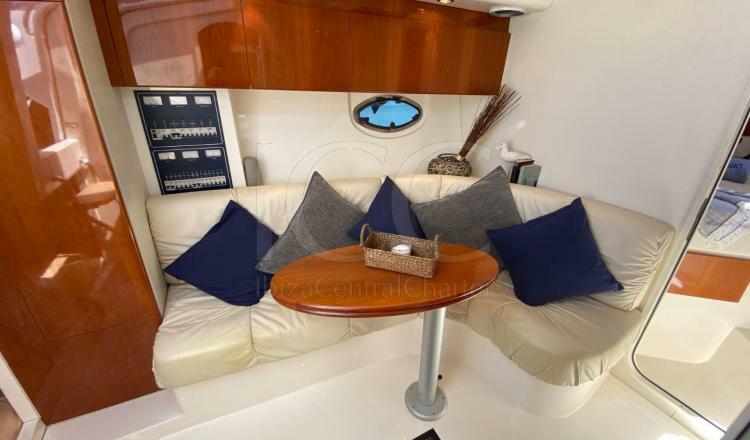 Undoubtedly, this Pershing 37 guarantees the comfort of your guests in a boat that combines luxury and elegance.